About the size of a sesame seed this is an adult deer tick. We finally made it through the harshest winter in 35 years. Although it doesn’t seem possible for any creature to survive outside this winter, do not be fouled. The warm moist conditions of spring will revitalize pesky parasites that can plague your pet. That’s right fleas, ticks and mosquitoes will be back along with the potential for the diseases they transmit. Fleas –Pets differ in their response to flea bites. When fleas bite, they deposit flea saliva into the host's skin that can cause an allergic reaction resulting in flea allergy dermatitis. Secondary bacterial infections may complicate the underlying flea allergy. Pets with flea-bite dermatitis commonly are itchy and frequently have hair loss. Pets sensitive to flea bites may be very uncomfortable, while less sensitive pets may be unaffected by them. When flea infestations are severe and blood loss is high, serious illness may result, including death due to anemia especially in puppies and kittens. Ticks –Ticks are common parasites that can be found anywhere from the deep woods to the urban park. 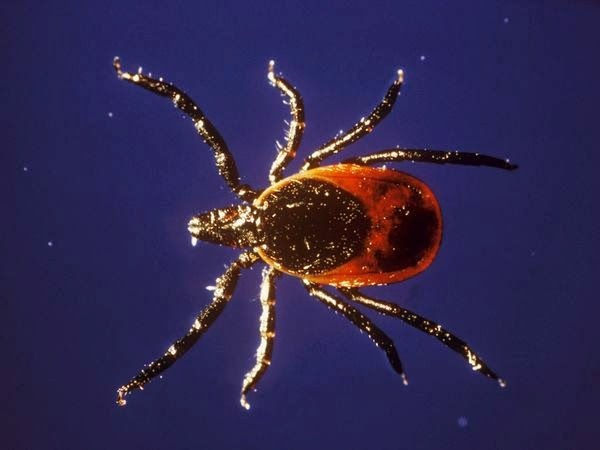 Wisconsin is considered a high risk state for tick borne diseases. Each year, thousands of pets become infected with serious diseases transmitted by a number of different ticks. Diseases like ehrlichiosis, Lyme disease, anaplasmosis and others. The symptoms for these diseases are quiet varied including; lethargy, fever, lameness, inappetence, vomiting, and diarrhea. Mosquitoes – Heartworms, a completely preventable but potentially deadly parasite are transmitted through a mosquito bite. The immature worms migrate and mature in the pet and eventually become adult heartworms in the large blood vessels in the lungs or the right side of the heart. Heartworms can damage the blood vessels and lead to secondary damage of the heart, resulting in heart failure. Pets usually are presented to veterinarians for coughing, lethargy, exercise intolerance or loss of appetite. Heartworm is much easier to prevent than to treat because prevention is safe, effective and easy to administer. While treatment can be life threatening. All of these diseases, generally known as vector-borne disease, can be minimized with preventive measures (vaccines, topical or oral medications, tick collars, etc.) and annual checkups that include a simple blood test for screening. Screening is especially important, as symptoms of vector-borne disease are often vague and difficult to recognize. Ask your veterinarian about parasite prevention to keep your pet healthy.